We spend so much time, effort and energy on trying to gain new customers, that on many occasions we miss the biggest opportunities we have in our business. Are easily accessible to you. Yet, are you taking the time to reach out and try to sell to them? If you already have a good base of customers. If you have multiple products and services, then you can sell to your existing customer base. Now, it is time for you to look at how to effectively upsell, cross-sell and resell your products and services to this base. Today I want to cover just three of the keys to building your company, by using upselling, cross-selling and reselling as the foundation to grow your sales. Upsell is simply taking a customer who has already purchased a product/service at a certain level from you, and selling them something different that does more and costs more. We might already do this at the time of the first sale, but do we do it later? The customer may have been using your product/service for a while and has come to understand how good it is in helping them achieve their goals. And, they might be ready for more. You are really growing, I think it is time you looked at our next level solution. Are you happy with the product or do you feel you need more? With the approaching service expansion, now is a great time to move you to the next level. Take the time to understand how they use your product/service, where they are going next and how they might need more from the service moving forward. Sometimes salespeople hesitate because they feel they might upset the client by trying to sell them more. Forget it. If you are taking the pulse of your customers at all times, you know them, they love you, and they are open to new products/services. Cross-selling is merely taking a customer who buys one type of product or service and selling them other things you are offering. They initially bought this service, and they like it. Now, you need to go back and see if you can sell them one of the many other things you have on offer. You now have access to them because they are already a customer, so go and find out what else they need. If you take time to understand their business, it then becomes a natural process. I see you are using our product A, but do you also have a need in this other area? I see you are buying service A from another company, have you ever considered looking at our offering in this area? Based on what I can see, I feel you could really use this service to help you. Getting a customer back who used to buy from you but is no longer active. They bought from you in the past and for some reason no longer buy from you. You might not even have been here when they were a customer. They might be unhappy where they are and would love to come back. Get that past customer list out and start working on gaining them back. Yes, some may not be happy to hear from you, but usually, that is only a small number. If I am a new salesperson at a company, the first question I ask is, “can I have a list of people who use to buy from you?” As sometimes this is all I need to become the top salesperson. Tell them how much you have missed working with them. Maybe you didn’t get along with the old buyer, but let them know there is now a new one. Perhaps their needs have changed and how they really need your product. Perhaps they have wanted to come back, but you have never reached out. I have watched companies grow astronomically by utilizing these three practices effectively. Start a process today to spend time, energy and effort in making this work. Plus, with all the automation available today. WOW! Upselling, Cross-selling, and Reselling are three of the greatest ways to help grow your sales and your profits. Ready to talk to Coach Manny for 15 minutes? On a data/time that works for you. Let’s set the call up, just click here to get started. Is There a Disconnect Between Your Sales and Marketing Process? 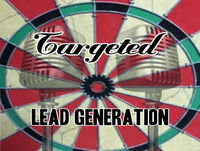 Why is there a Delay Between Lead Gen and The Start of Selling? Lost Leads? How can that be?